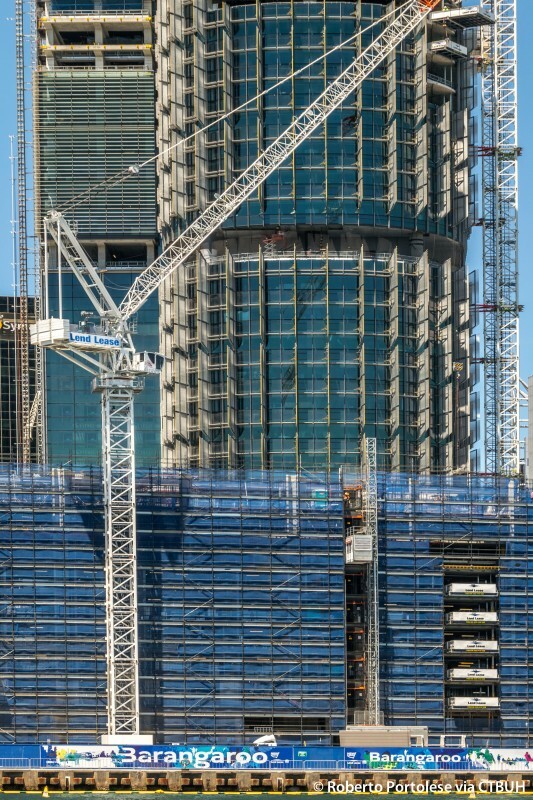 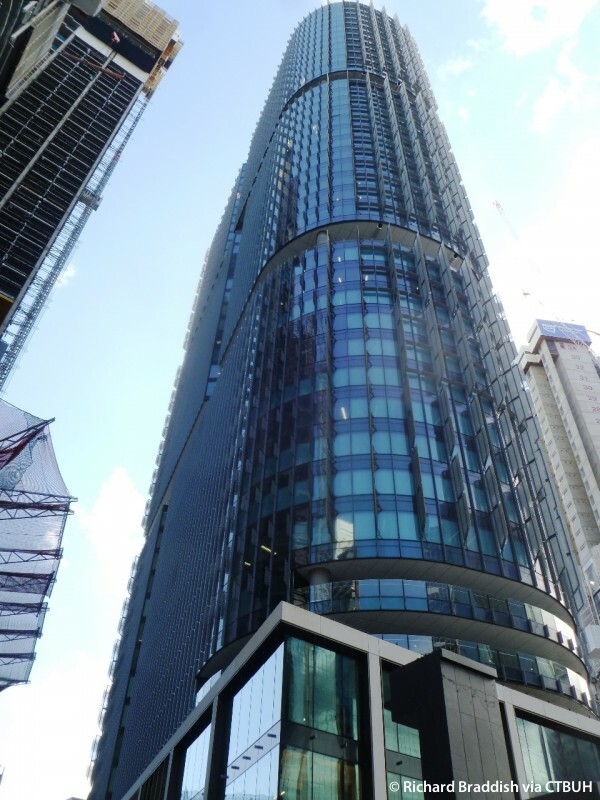 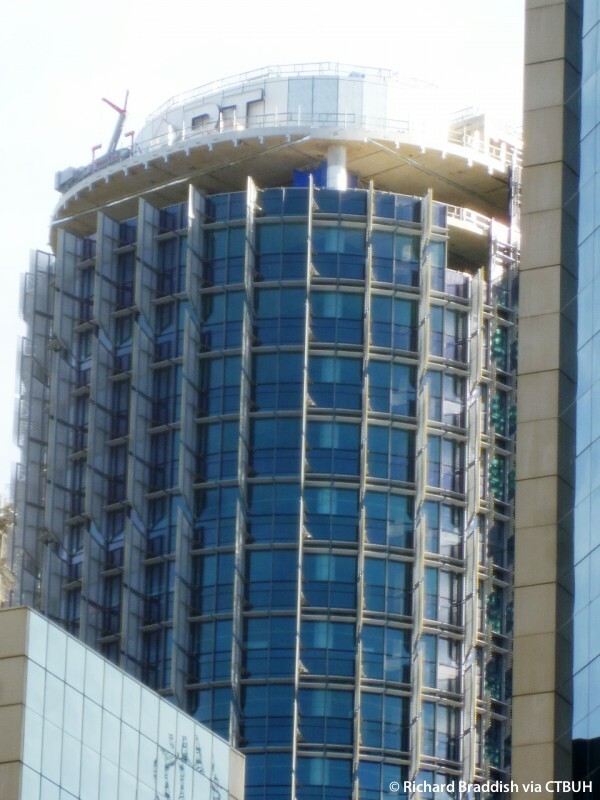 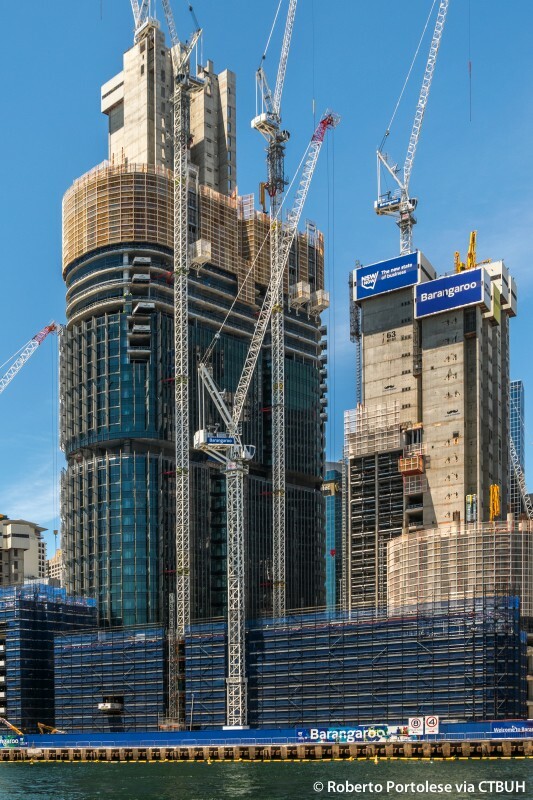 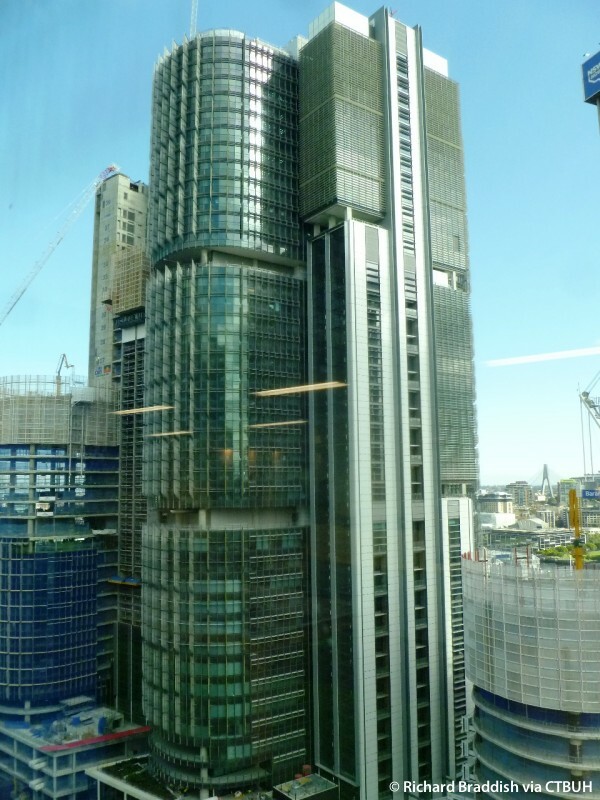 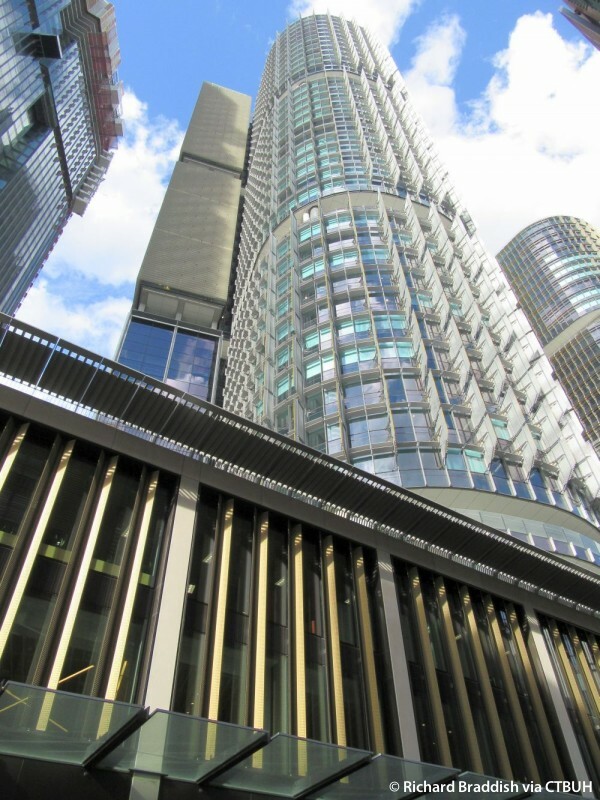 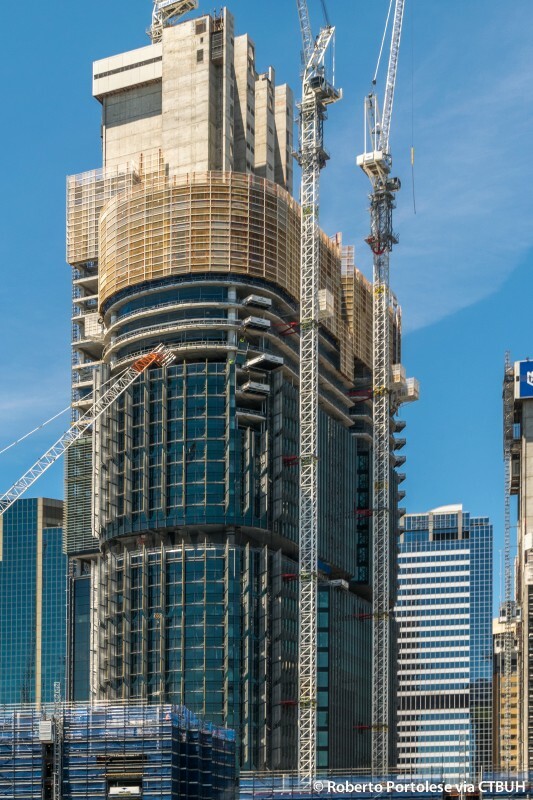 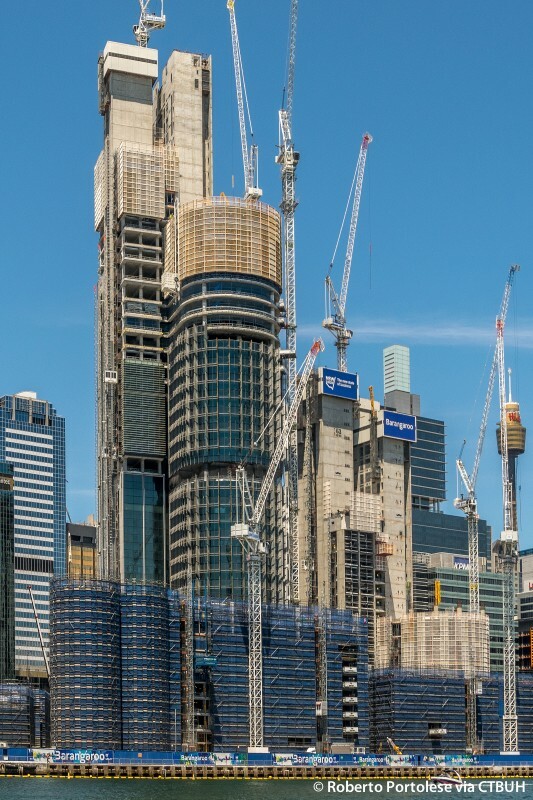 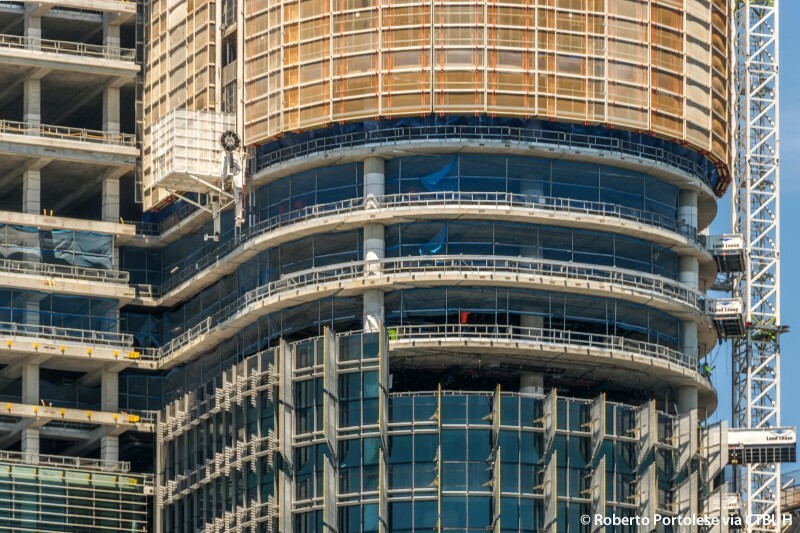 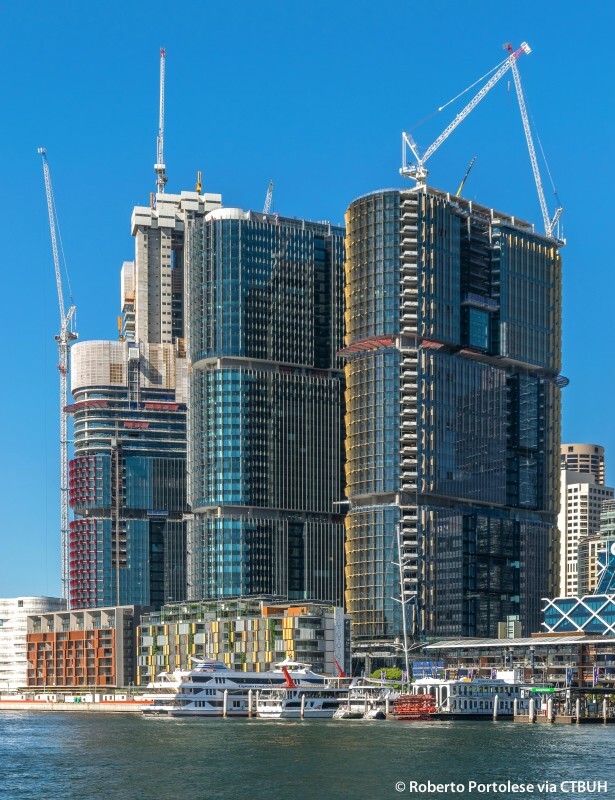 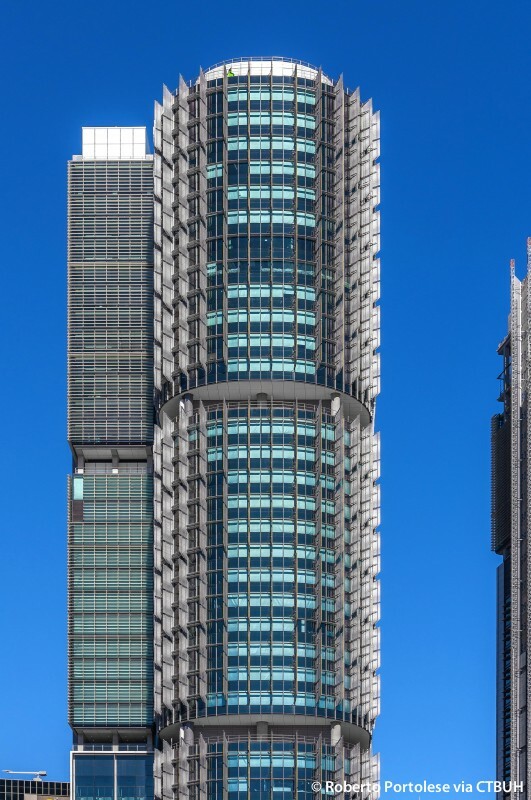 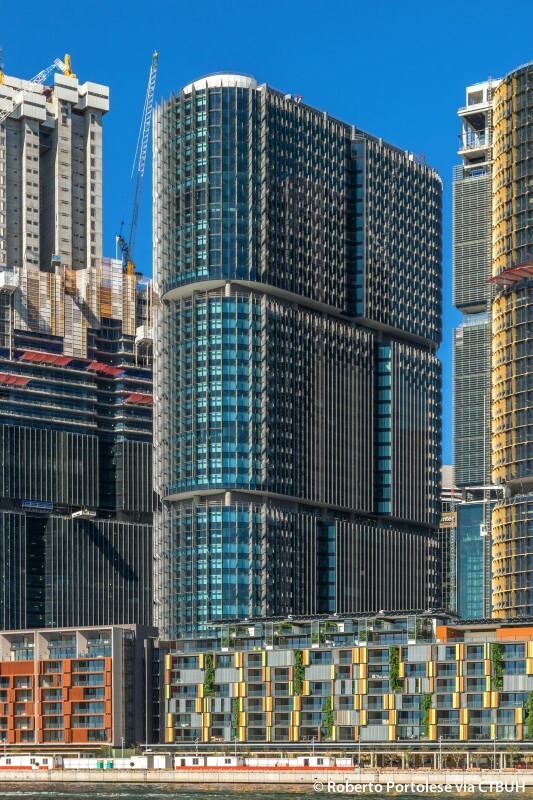 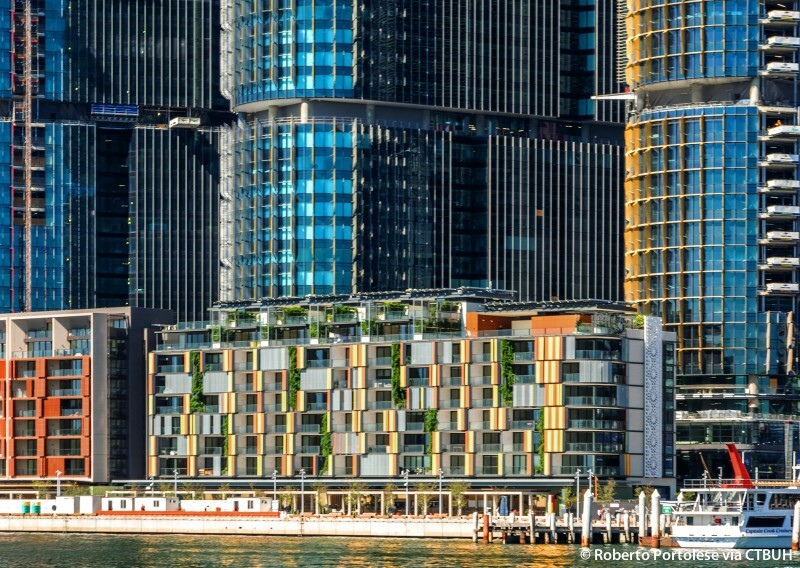 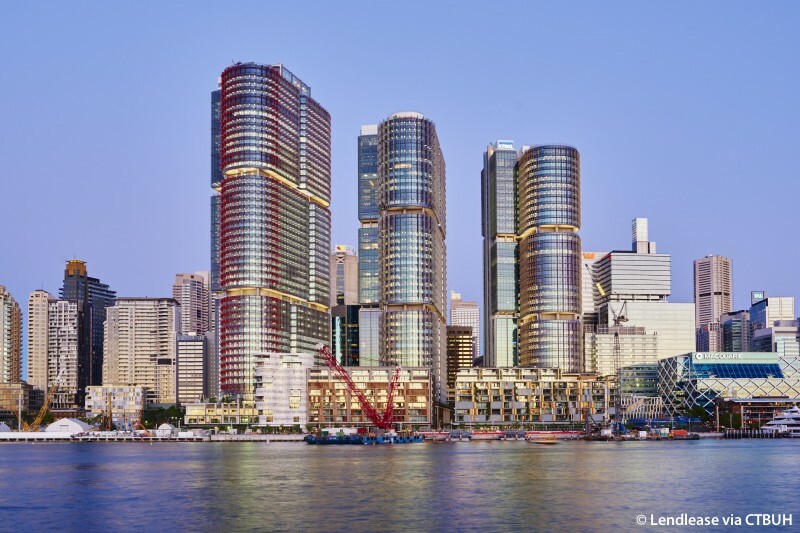 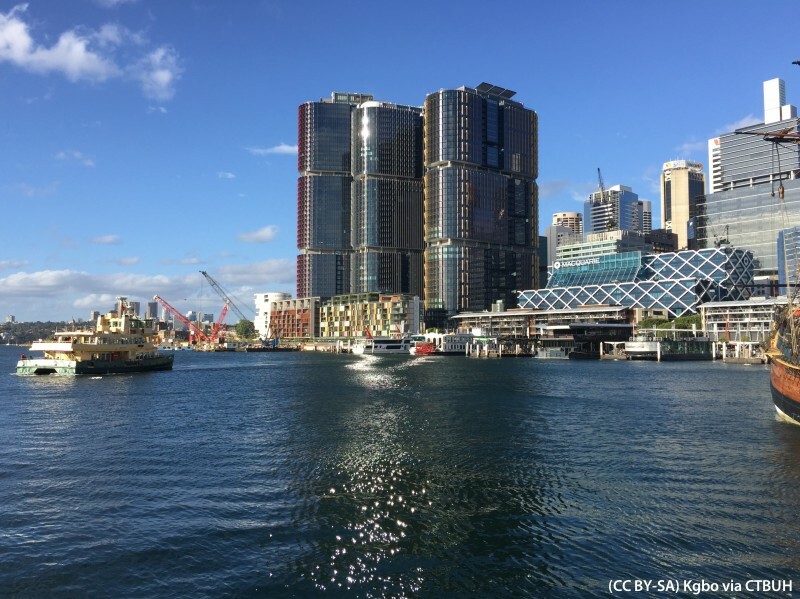 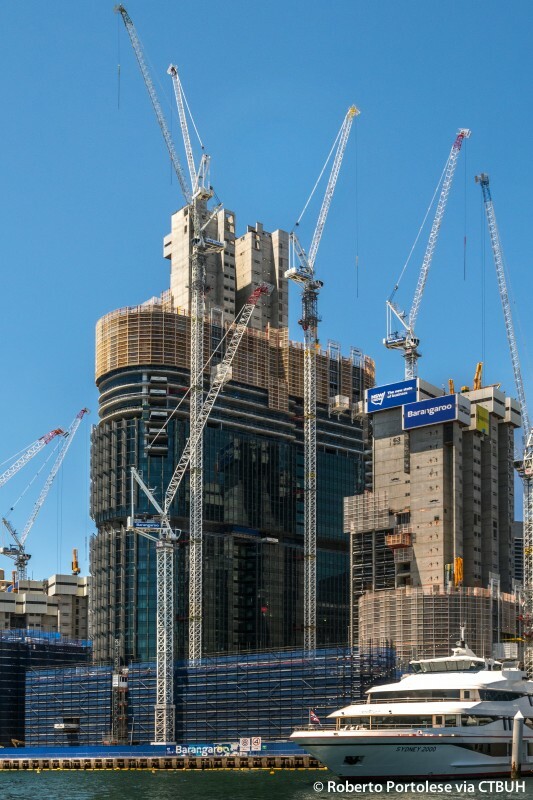 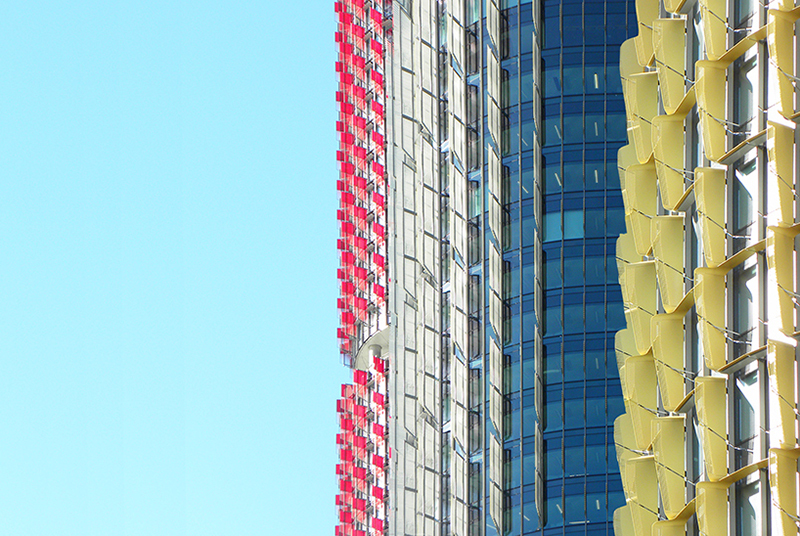 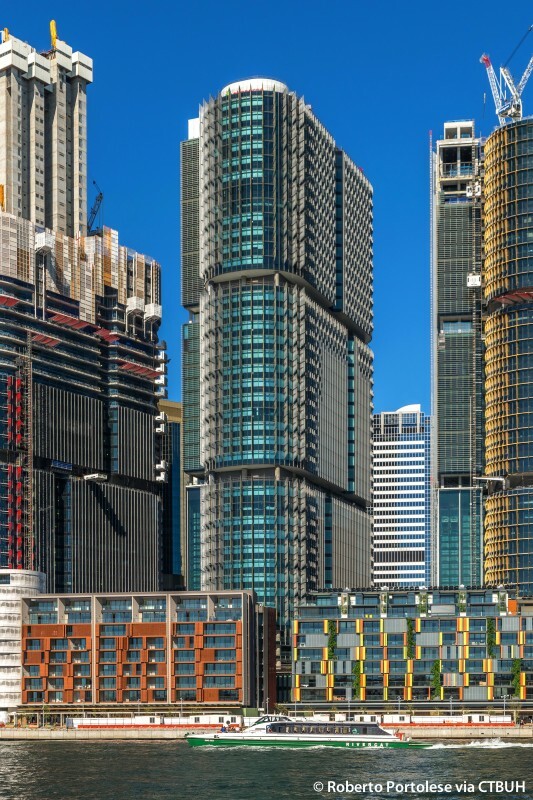 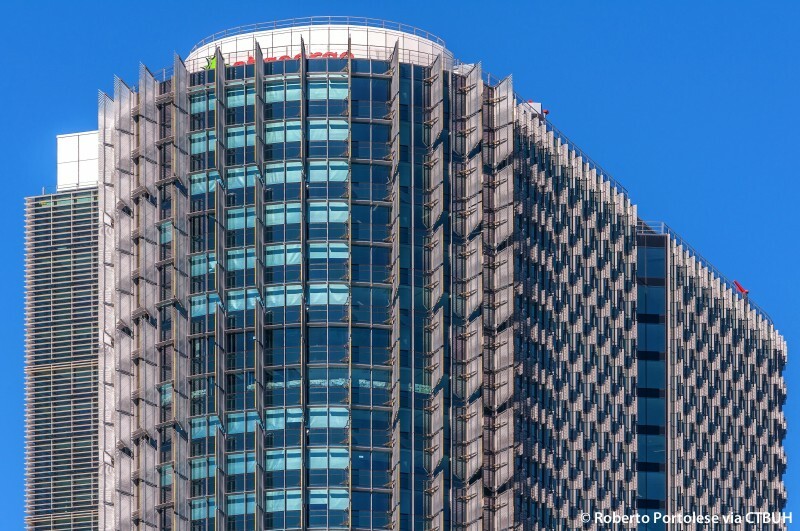 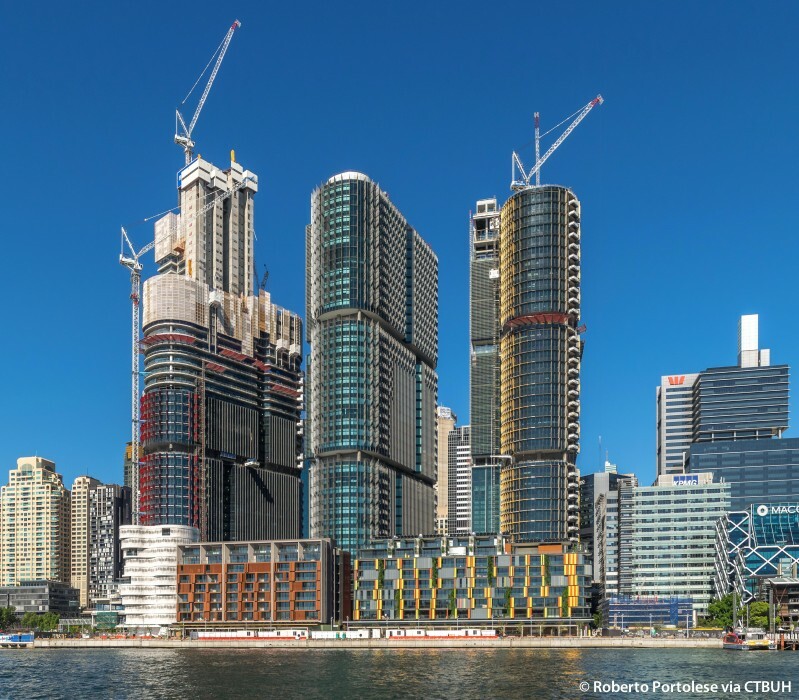 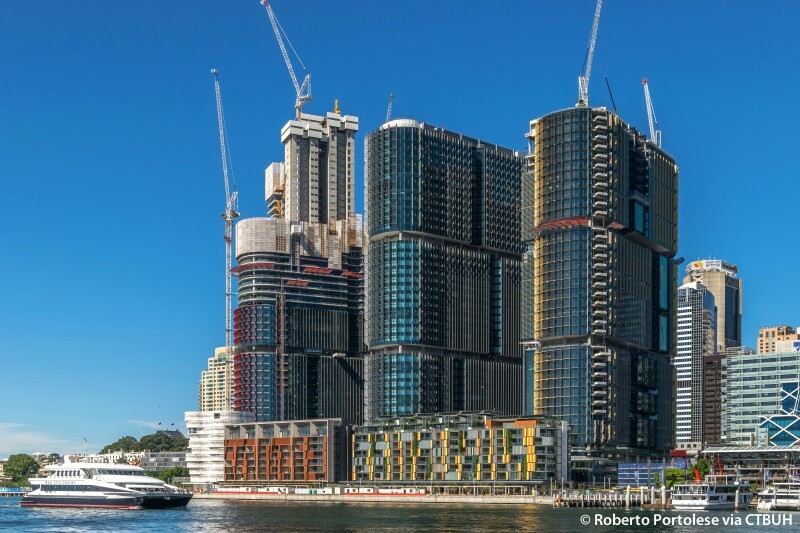 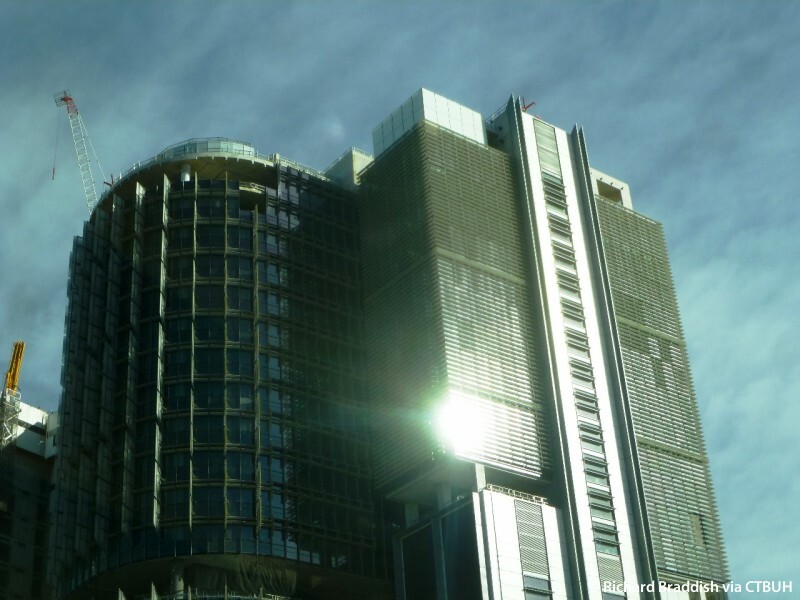 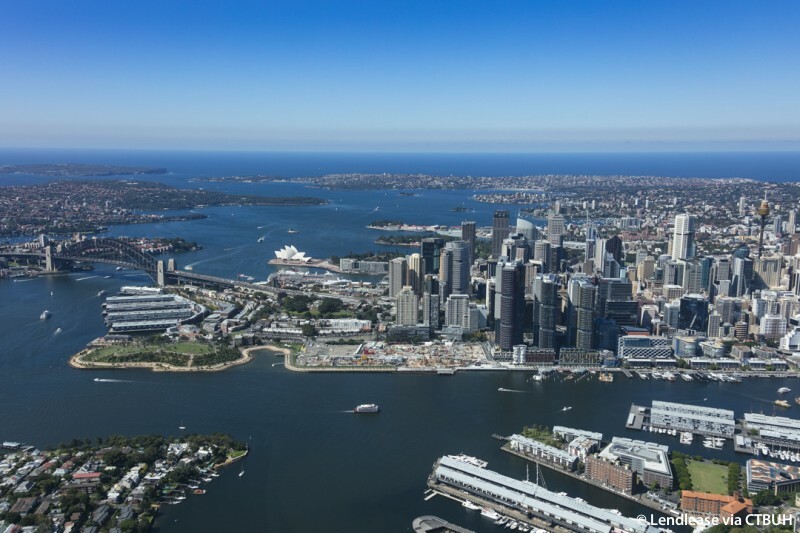 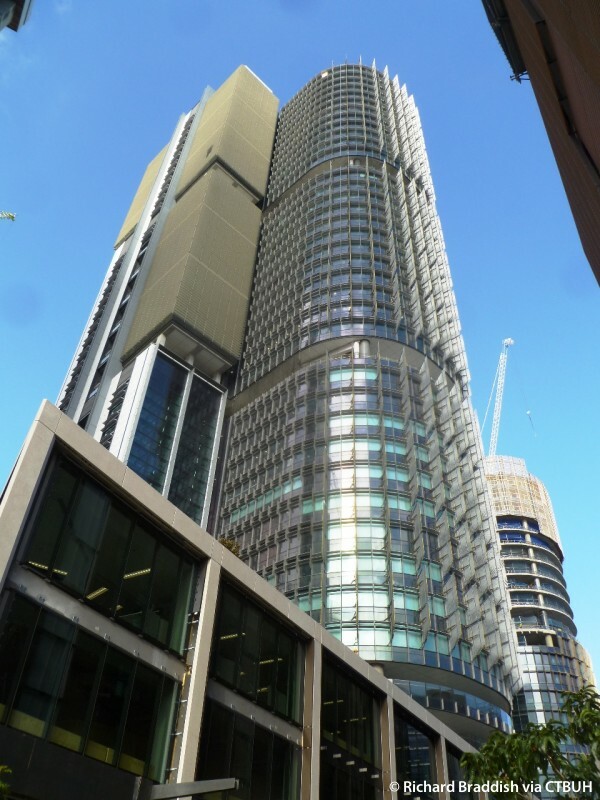 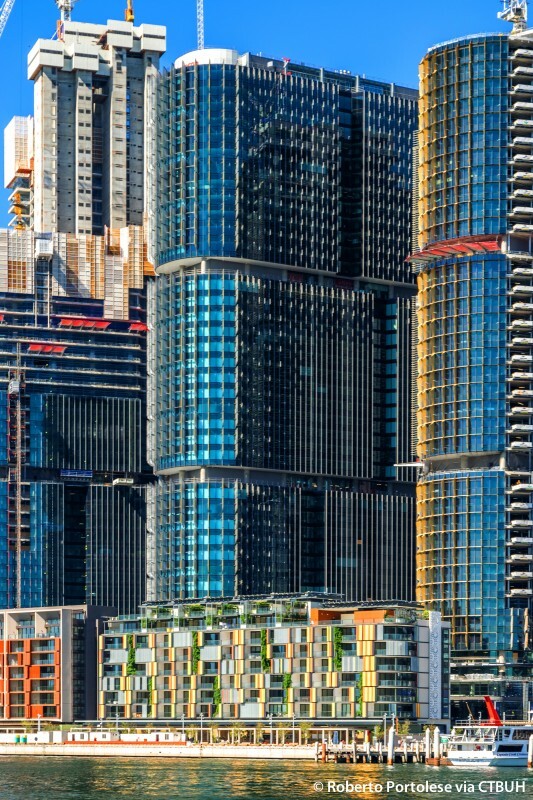 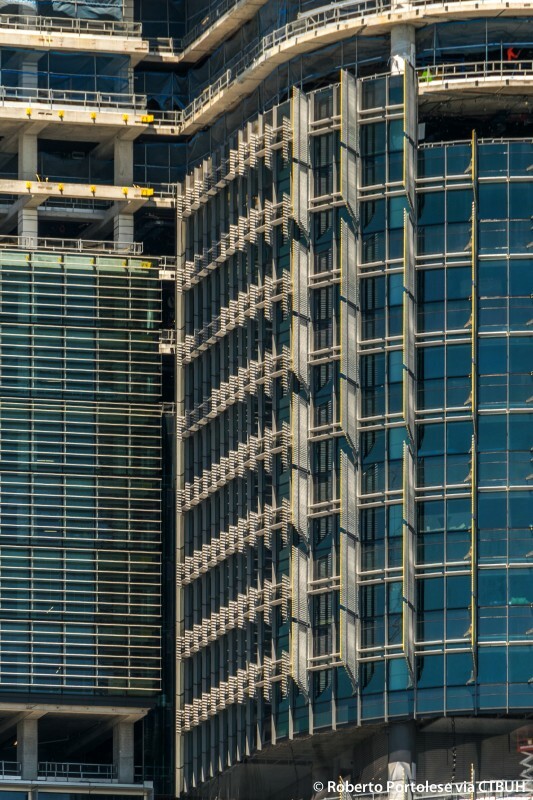 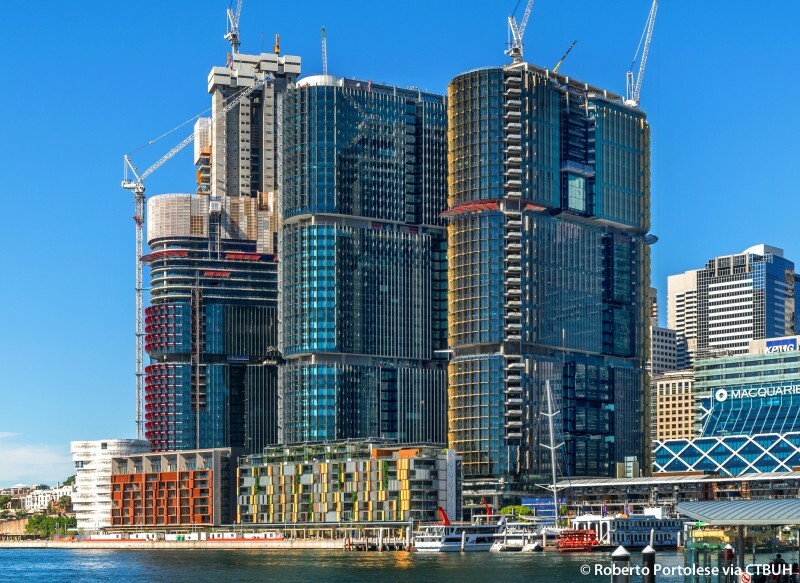 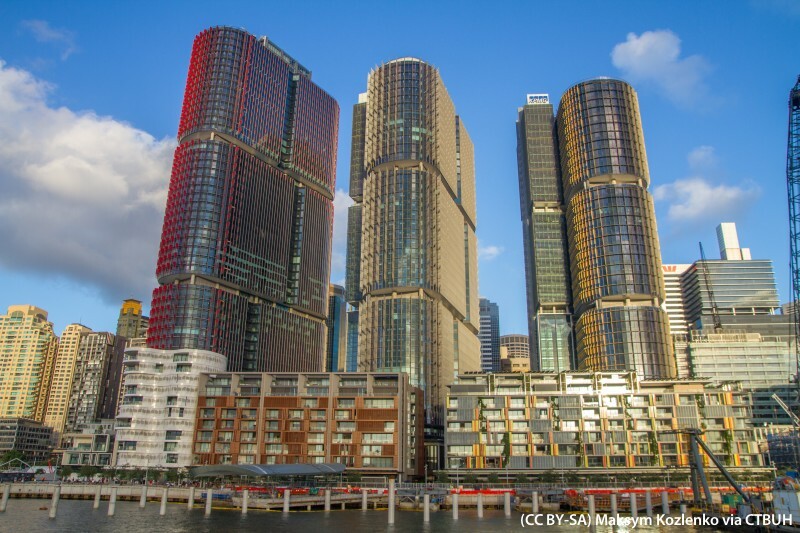 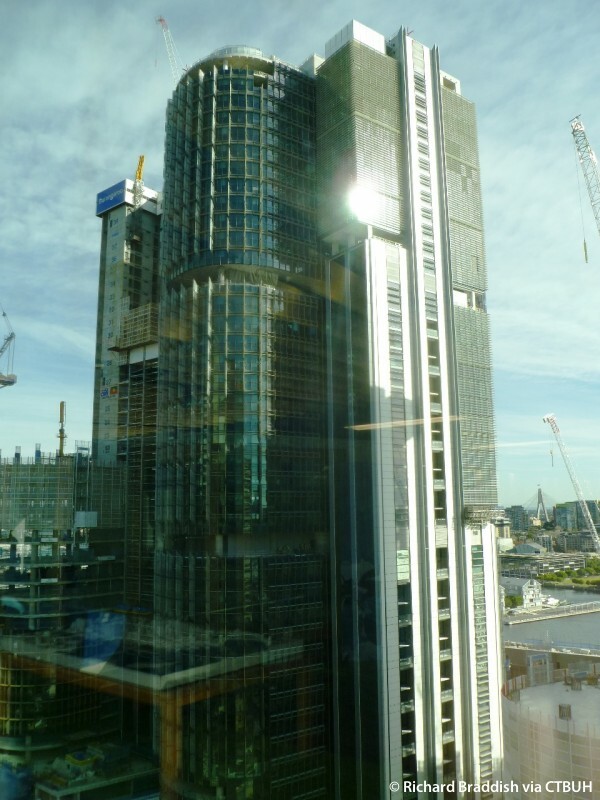 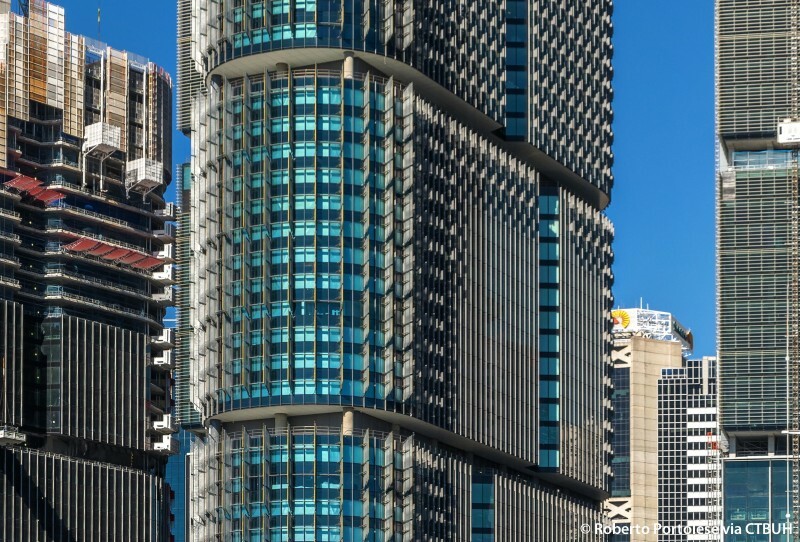 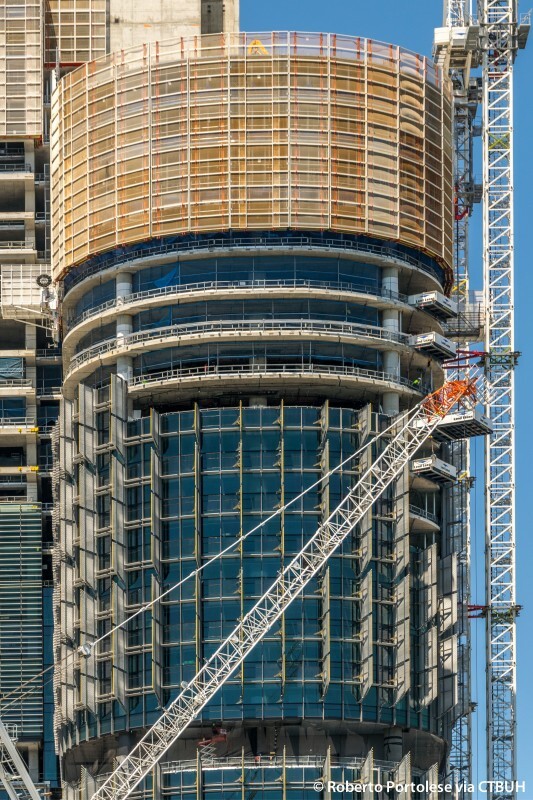 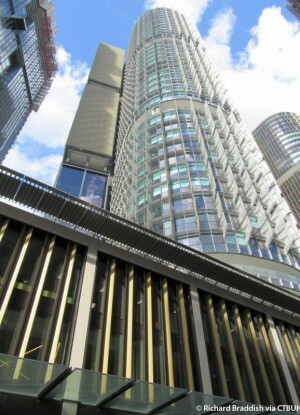 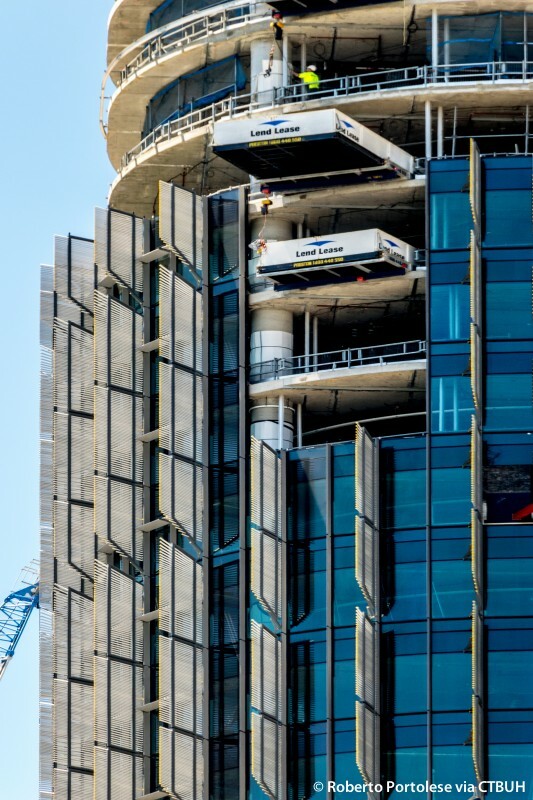 Constructed on a former container port, International Towers Sydney Tower 2 was part of the three building International Towers complex and part of the larger redevelopment of Barangaroo South into a new waterfront extension of Sydney’s Central Business District. 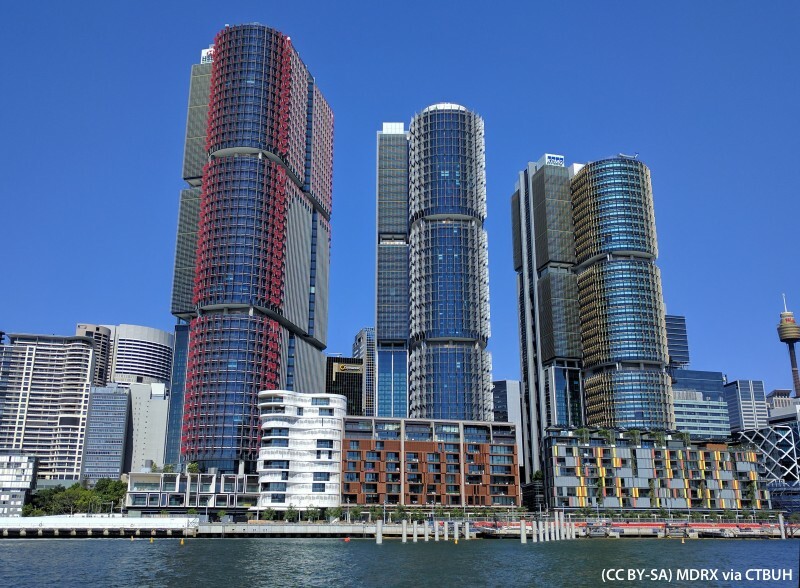 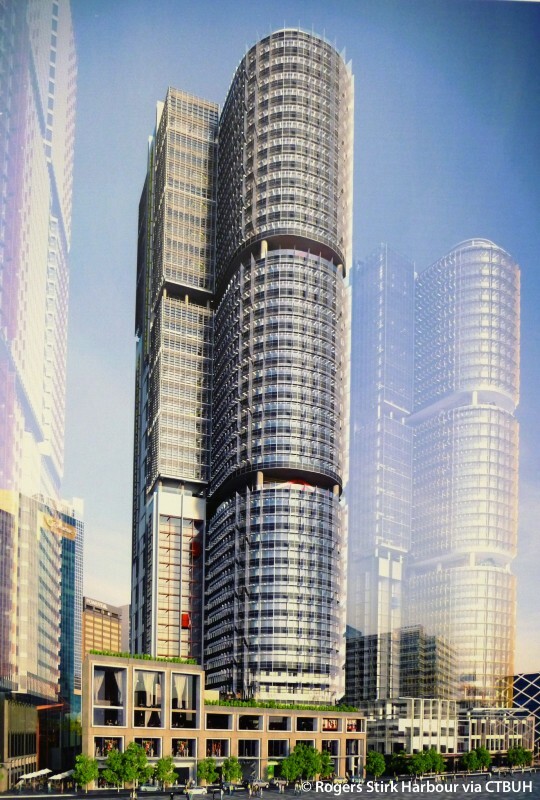 International Towers was conceived as three sibling buildings with varying heights and specific design features to provide each building with its own identity. 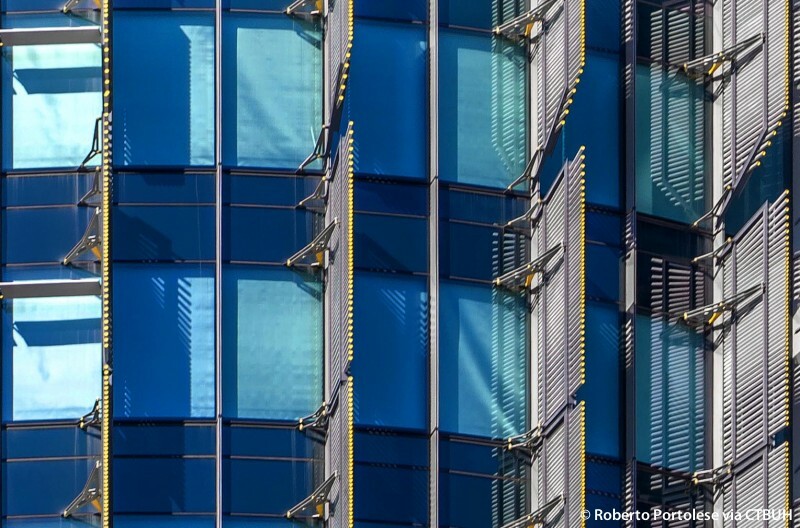 One of the identity markers is the in the arrangement and color of the vertical solar shades applied to the exterior facades, improving the thermal performance of the buildings as they were comprehensively designed with the context of their surroundings. 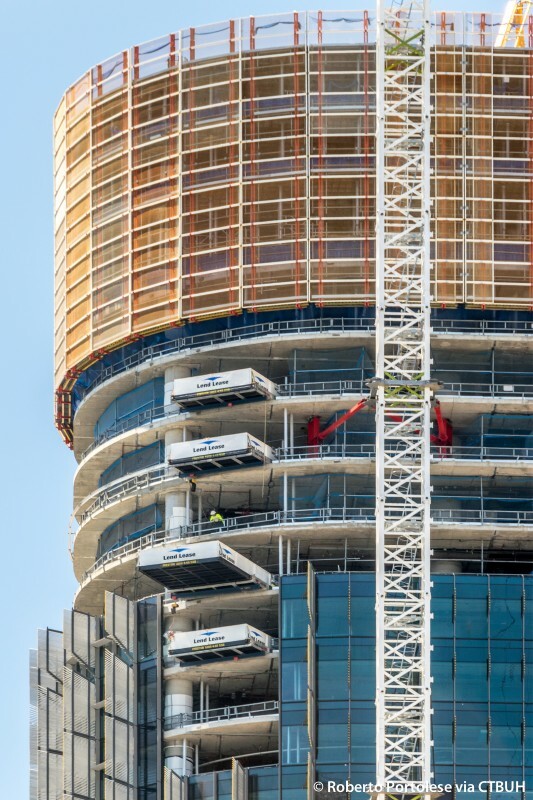 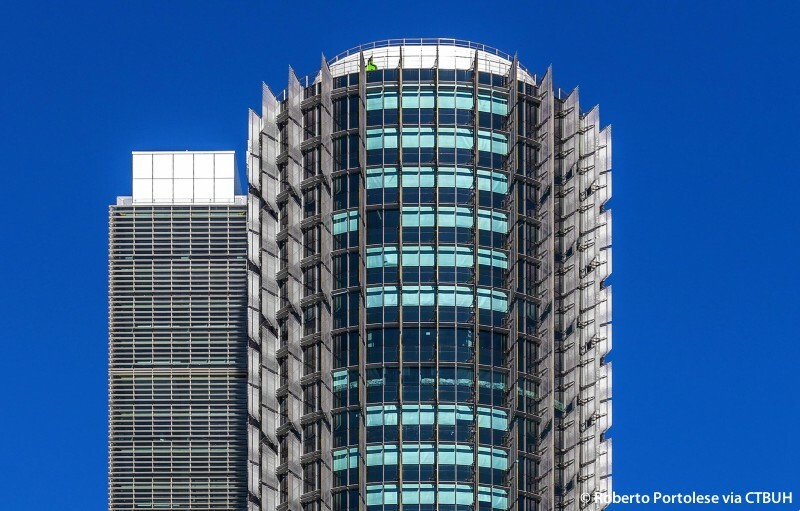 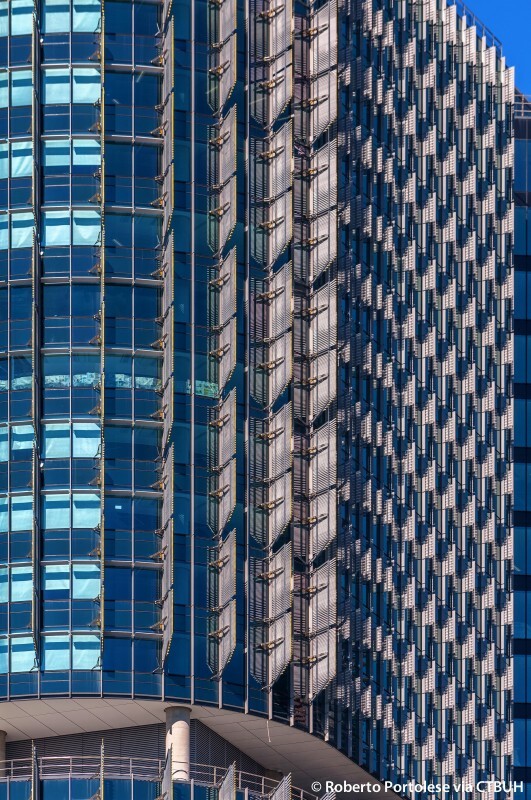 The elevator cores were positioned to the northern edge of each building footprint, providing for expansive office floor plates while also further reducing energy consumption through a reduction of glazing on each building’s northern exposure.